Ocean liners were intricately constructed pieces of culture — in the appearance of their design, the elegance of their engineering and the division of their social space — and each with its own distinct personality. Drawing from international institutions and private collections, the exhibition brings together nearly 200 works including paintings, sculpture, models, furniture, lighting, wall panels, textiles, fashion, photographs, posters and film. The exhibition is co-organized with the Victoria and Albert Museum, London. Share your impressions with us on social media using #OceanLiners. 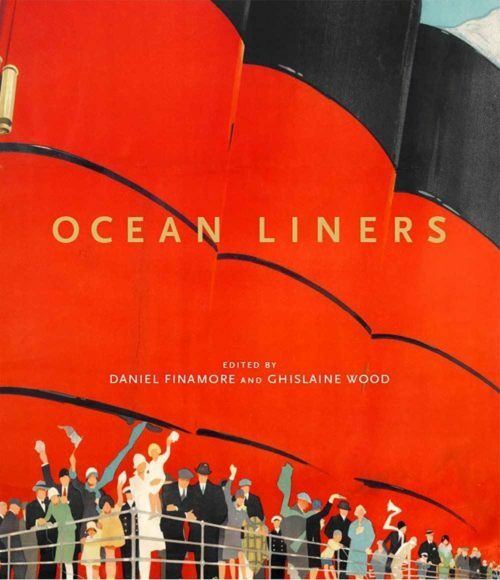 Ocean Liners: Glamour, Speed, and Style is organized by the Peabody Essex Museum and the Victoria and Albert Museum, London. Fiduciary Trust Company is the lead sponsor and Eaton Vance Management is a major sponsor. The exhibition is supported in part by a grant from the National Endowment for the Arts. Carolyn and Peter S. Lynch and The Lynch Foundation provided generous support. The East India Marine Associates of the Peabody Essex Museum provided additional support.